Immediately kids sprung from their seats in search of an elder, someone to create a super-secret and super-cool handshake with. Some were a simple, yet firm handshake. Others were complex and even involved a little choreography. The important thing to note is the youth’s display of respect, how quickly they responded so their elders wouldn’t have to leave their chairs and also how they introduced themselves by explaining their lineage so the elders could identify their family. 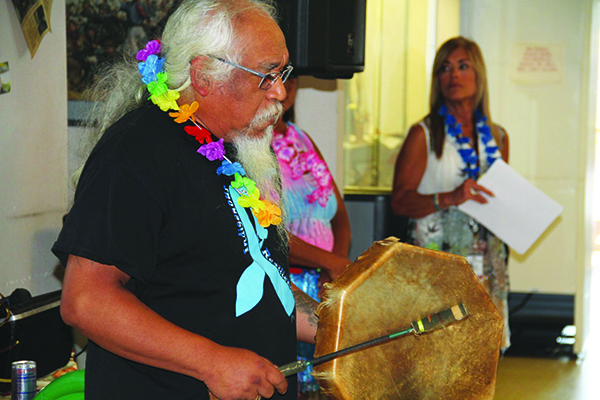 This was all showcased during the first activity of the Hawaiian Paradise event hosted by the Tulalip Problem Gambling program on August 7. 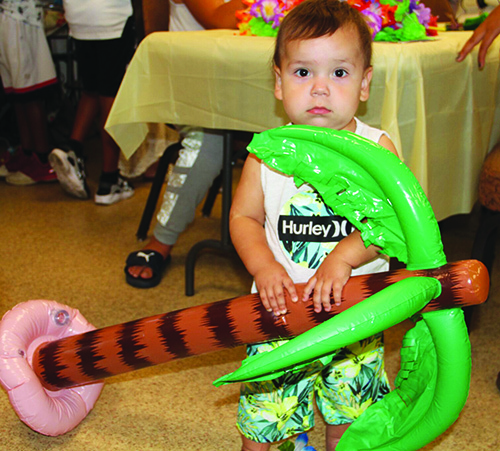 The luau-themed luncheon united youth and elders alike in an afternoon of fun, which included a dance group competition. 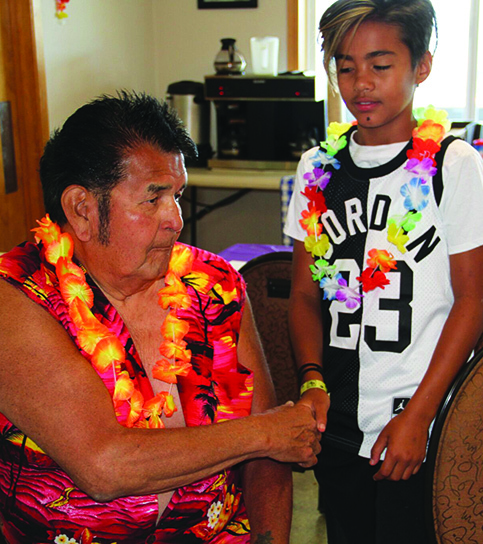 The kids continued to show respect to their elders throughout the day by happily plating and delivering a delicious Hawaiian meal catered by Ryan’s Rez-ipes. 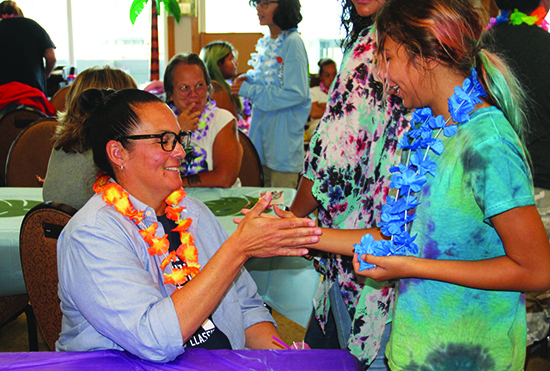 Nadene Foster and granddaughter Kailani Carpenter-Cox attended the event together and were incidentally paired up during the handshake competition. The ladies won the competition, garnering the most applause from the crowd. “It’s important to bring our youth and elders together to hang out with each other,” says Nadene. The event not only brought youth and elders together, it also shed light on problem gambling and how it can affect your family and community. The youth and elders listed many of the ways gambling addiction can become an issue such as depression, boredom, anxiety and the loss of a family member. The group also took the time to brainstorm other activities people can try instead of gambling, like hiking, exercising, writing, and watching movies as well as attending family and cultural events. 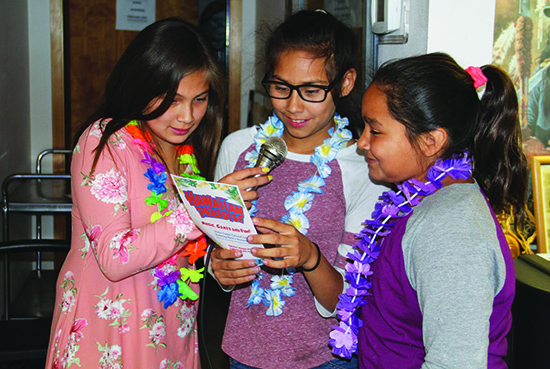 Deyamonta Diaz and Rachel Steeve of Tulalip Youth Services transported two vans filled with kids from the youth center to Hawaiian Paradise. And just for a brief moment, with the amazing weather paired with the food and décor, one could almost trick themselves into thinking they were actually on one of the beautiful Hawaiian Islands. “We attended this last year and we had quite a few kids too,” states Rachel. “It’s important for the kids to sit among their elders because they can teach the youth so many things. They have all of our knowledge and are the only people who can pass it on. And these youth will get the chance to pass on that same knowledge in the future. It reminds kids a lot about respect and taking care of our elders. All the kids prepared plates and brought food and refreshments to the elders, so it teaches them the importance of taking care of our elders because they took care of us at one point. For further information regarding gambling addiction, please contact the Tulalip Problem Gambling program at (360) 716-4304. 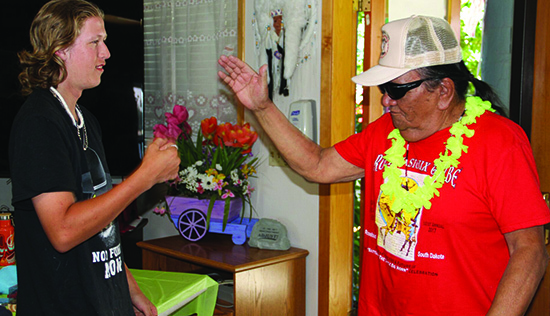 This entry was posted in News, Tulalip News and tagged elders, lunch, Tulalip Tribes by Kim Kalliber. Bookmark the permalink.